Longboat Key real estate at Sanctuary includes condominiums built from 1989-1991 which are behind the famed gates of the Longboat Key Club. Residents at Sanctuary can walk right out to the beach and enjoy walking, shelling, fishing as well as just relaxing by the sea. 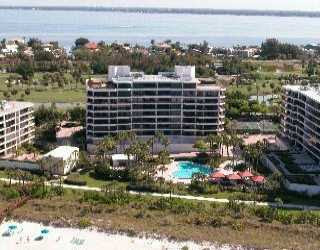 Waterfront views from the condos at Sanctuary on Longboat Key, like those at Beaches, Privateer and Pierre are panoramic. There is a 24-hour guarded gate to Sanctuary’s entrance. The five buildings are well maintained and have outstanding amenities including a sundeck with a gazebo. 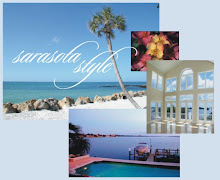 Currently the Sarasota MLS reports 11 condominiums for sale at Sanctuary. A 3 bedroom, 2 1/2 bath unit is listed and is the lowest priced condo at $849,000. The unit has 1823 sq.ft. Amenities at Sanctuary also include: heated pool, tennis courts, walking paths, and a fitness room. Looking for more space, the MLS also reports a 3 bedroom, 3 ½ bath unit, Gulf-front with over 3000 sq.ft that is listed at $2,995,000. St. Armands Circle is a quick drive from your Longboat Key condo for shopping, dining and downtown Sarasota’s cultural activities are close too. Dry Dock on Longboat Key, the Chart House and Moore's are popular for dining too. For more information Longboat Key real estate or to search the Sarasota MLS for a condo at Sanctuary, visit our main site. If you need help with your search or would like to book a showing, give us a call.